With ever-developing smart technology, Shades IN Place knows that you want access to your home systems from wherever you are. Whether you wish to conserve energy and increase efficiency; or you want to preserve and protect your privacy and property, we can help you design, install and manage the automated shade system best suited for your lifestyle. This is a question we get asked often. The answer is simple. It depends. The ideal scenario when choosing to motorize your blinds or shades would be to call us while the “walls are open” during construction and remodeling. That way, we can easily have electricians run all of the necessary wires to power the shades (should it be window treatments). However, there are situations where battery-powered shades are the best option. Some of our products have an incredible battery life that lasts between 3-5 years. 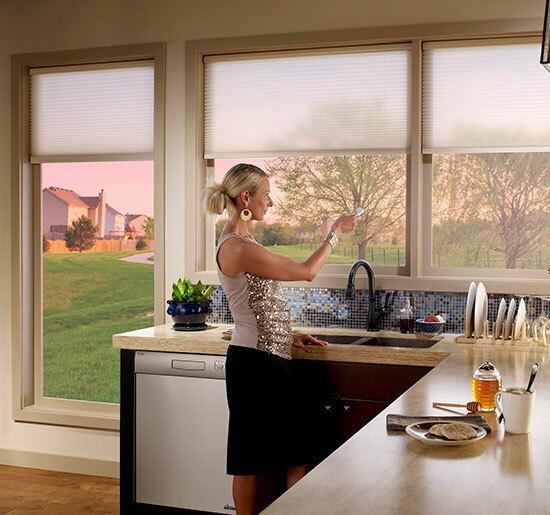 We even offer solar-powered options on some of our Motorized Window Treatments. 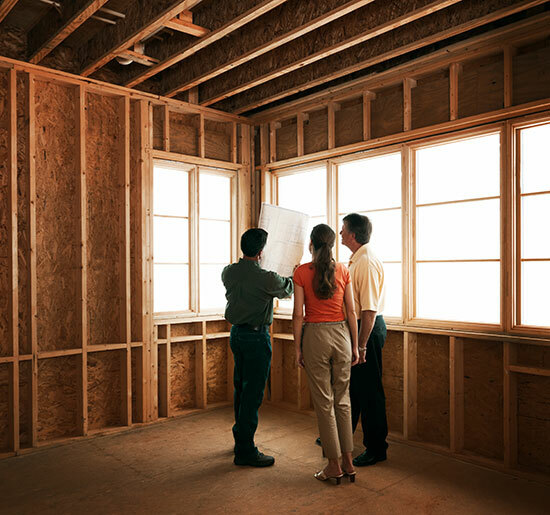 You can rest assured that Shades IN Place will carefully examine your site and review every option available to you, helping you make an informed decision that best suits you, the style of your home and the way in which you live in it. We proudly offer the highest-quality motorized window shades offered on the market today. 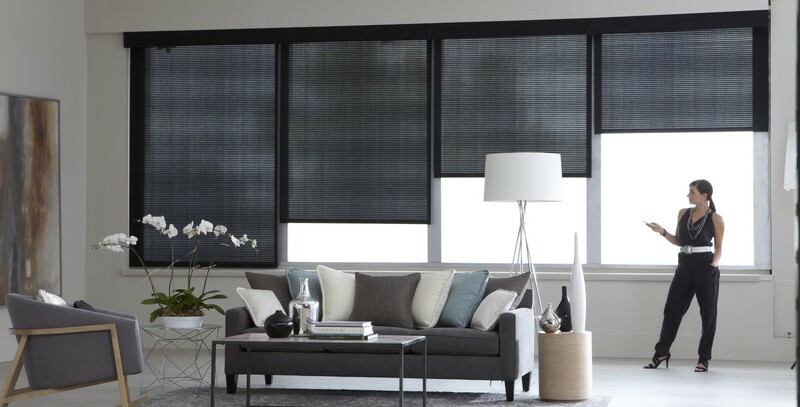 Our automated shading systems — Somfy®, Lutron® and Hunter Douglas® — offer systems for roller shades, Roman shades Venetian blinds, drapery tracks, vertical draperies, skylight shades and much more including custom shades. How do I Control my Motorized Shades? 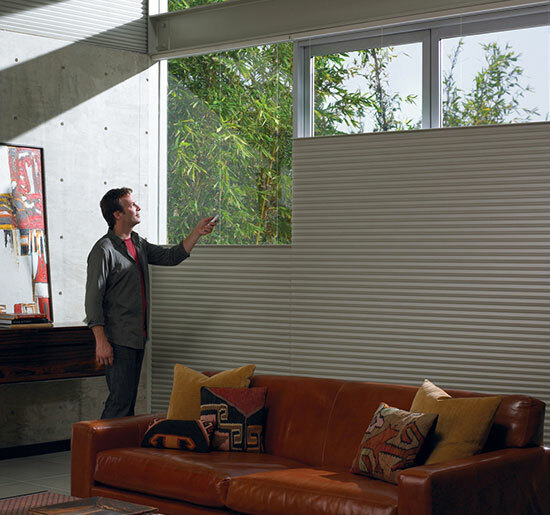 There are numerous options for how to control your motorized blinds or shades. Wall switches and hand-held remotes are obvious choices, but today’s technology allows you the convenience of operating your blinds and shades remotely with your smartphone or tablet or via voice-activated devices such as Alexa, The Echo Dot or Google Home. Whichever option you choose, we can even set up your motorized window coverings to operate at certain times of the day using timers or temperature sensors. 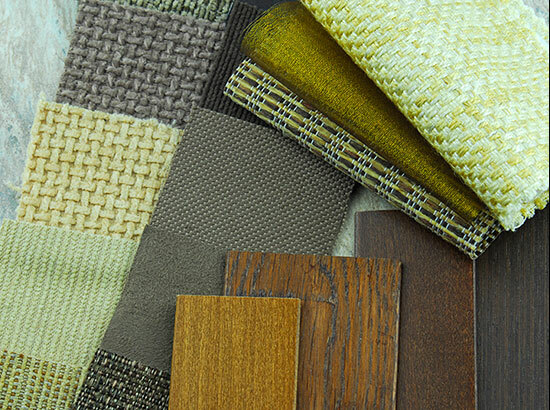 Schedule a Consultation for Your Next Automated Window Covering Project! Call or contact us online. Let us show you why we are your best choice for Automated Window Treatments in the Boston area.